There’s no way around it—maintaining a house is difficult. From landscaping and yard upkeep, to plumbing and electrical problems, homeowners have so much on their plates already without having to worry about their roof. Fortunately for the good Minnesota citizens within a 100-mile radius of the Twin Cities, Metro Area Construction is a reliable company excited to suggest, install, and help maintain a high-quality metal roofing solution. 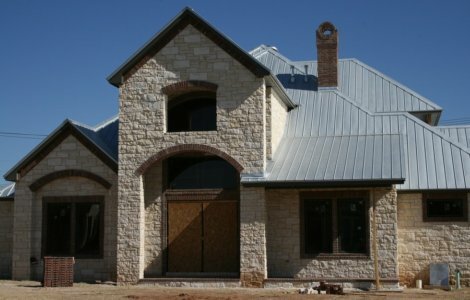 Why Install Metal Roofing on Your Minnesota Home? When folks think about metal roofs, they often don’t picture the most flattering of displays. They think of rusty looking, clunky sheets of metal strewn about on top of a house. But that image is drastically far from the modern-day metal roof that Metro Area Construction can install—and has been installing with great success—for many satisfied customers. 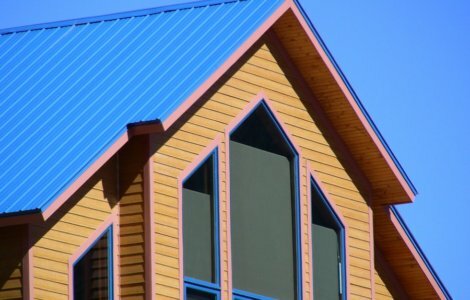 Contrary to what some may believe, metal roofing is a comparable option to all other roofing solutions with a long history of being one of the best for both residential and commercial buildings. 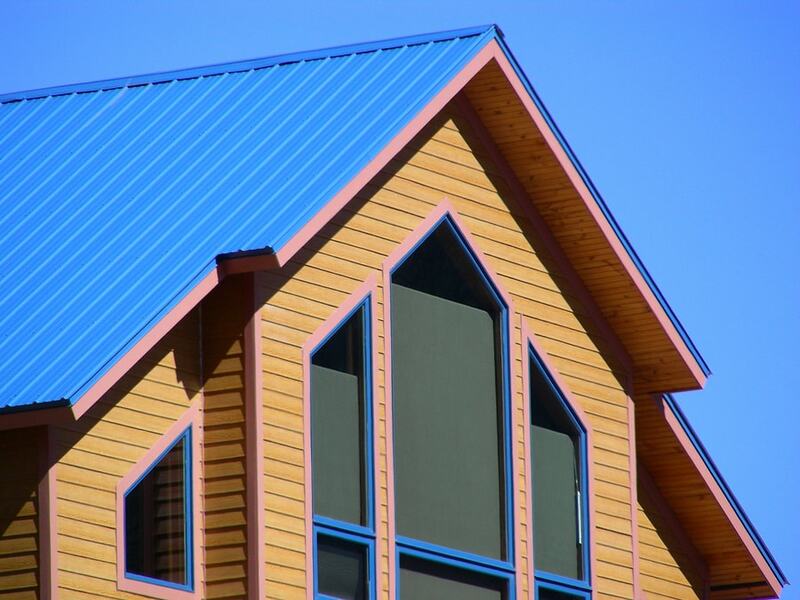 When a metal roof is seen on an older building or home, it is likely a “standing seam” roof that was put together on sight with a large roll of sheet metal. Today though, skilled contractors like the ones found at Metro Area Construction primarily install factory made panels of steel to ensure durability and control consistency for those smart homeowners who choose metal roofing installation. During the process, ridges in the panels form overlapping seams in the metal that prevents leakage and strengthens the roofing, and various factory-applied finishes are available that protect against corrosion. All this makes metal roofing a highly-recommended option for those looking to improve their home’s security and longevity. Metal Roof Colors & Styles – With advances in the industry, choosing a metal roof does not mean choosing one standard roof that looks identical to your neighbor’s. These days, metal roofing solutions can be installed in various colors and in an assortment of styles such as tile, slate, shake, and shingle. Give the folks at Metro Area Construction a call—we’re happy to walk customers through the options. Metal Roof Maintenance – Once metal roofing installation is complete, it gets easier from there. Maintenance is simple with metal roofs. Because of the durable material and smart design, metal roofs are much less likely to lose individual pieces of roofing or face wind damage during bad weather. They also have a lifespan of 3 to 4 times the length of traditional asphalt roofs, making metal roofs the obvious choice for little upkeep and substantial payoff. Eco-Friendly – Because steel is recyclable, metal roofing is a much more eco-friendly option than asphalt roofing. Much of the material for metal roofing comes from factories that utilize and encourage recycling habits in the industry. Additionally, due to the ease of recyclability, homeowners are more likely to make the environmentally-friendly choice if they ever choose to dispose of their metal roof. The durability and lifespan also means homeowners produce less waste over time than they would with an asphalt roof. Quick Installation – Metal roofing can also be installed over asphalt roofing, saving customers time and money in the roof installation process. Call Metro Area Construction, the top rated metal roofing company in Cokato, MN to secure a free roof evaluation and a friendly contractor can help you decide if your roof would be improved by this metal roofing option. As a highly respected and revered company for metal roofing installation and repair services near the Twin Cities Area, Metro Area Construction has all the qualifications, experience, and technology to make any homeowner wonder why they didn’t switch to a metal roof sooner. If you have any concerns or questions about the quality of your current roof—or if you are think your life could be improved by a metal roof installation—give Metro Area Construction a call to schedule a free inspection and consultation. This one of a kind opportunity allows customers to chat with the best minds the industry has to offer to decide what the best roofing solution for their property would be. So what are you waiting for? Contact Metro Area Construction today for a free and honest estimate, and take a step towards a simpler, more eco-friendly, less stressful life.